Local vs National Towing : What to Chose? What to Choose, a Local Towing Company or a National One? As a driver in need of a tow, you want to make sure that the company you call is the right company for the job. You want to be sure that they are professionals, certified, insured, experienced, and knowledgeable, and that they’ll be able to take care of your car without any trouble at all. You want to be sure that your vehicle will be transported carefully and without any damages. So, who do you call? Or rather, what kind of company do you call? Do you call a national towing company or do you call a local towing company for help? All in all, we and our network of independently owned and licensed affiliates recommend you go local as long as the local company fits the professional criteria listed above. There are many advantages of going local in this situation. First of all, knowing that time sensitivity is a huge aspect in most towing situations, a local company will know the area well. You can call from your location, and odds are that the very technician who will come help you was just in your area yesterday. He’ll know where to go and where to find you, which means he can get to you faster and help you out. And if there’s any construction or temporary road blocks, he’ll know about them because he’s in this area all the time. A national towing company will send a technician who is temporarily in your area, which means he’ll be reading off a map and may be delayed in getting to you. Additionally, local companies are more likely to know you personally. Getting assistance from a towing technician who has worked in your area and who knows either you or your family or close friends is a huge advantage. That kind of thing ensures quality customer service because it reduces anonymity. Knowing that a lot of people in the area will hear about it if you’re not good at what you do is a good motivator to do well. National companies do not have the same incentive, because the towing technician working with you may be transferred across the state next week. 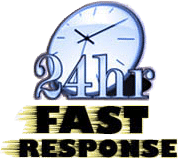 At Towing Riders, we and our network of independently owned and licensed affiliates know the value and importance of a local towing company that you can count on. That’s why we’ve worked hard to ensure you professional service. Our company is licensed and insured, and all our technicians are well trained and well equipped with the tools they need to help you out. 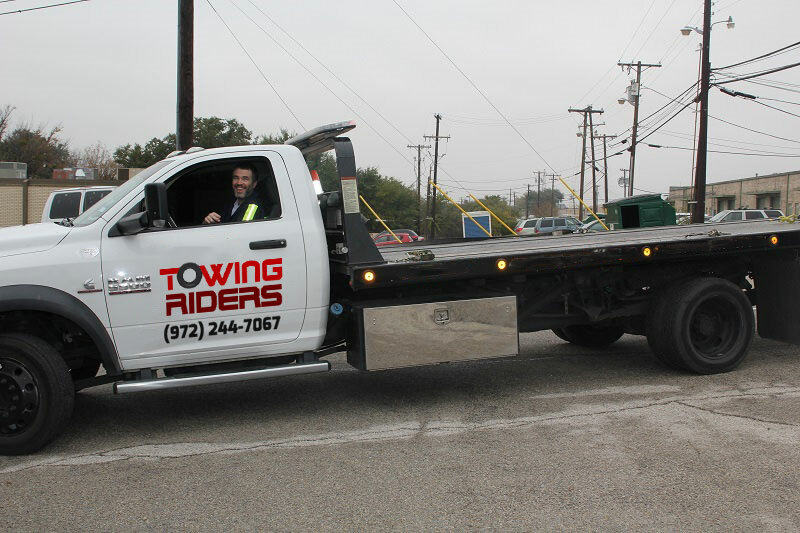 Choose Towing Riders and our licensed affiliates the next time you need a Dallas tow truck.